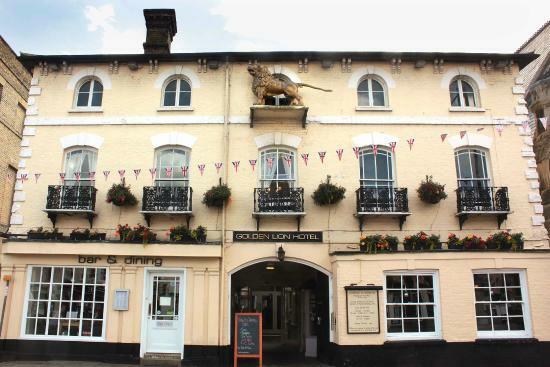 Our last League matchday started in comfort as we arrived at the Golden Lion on Friday afternoon. A scintillation of a hotel, just two doors up from Wetherspoons. We’d diverted briefly to admire the pitch. At 4pm, there was no-one about so I took what pictures I could. There was much surface water, only to be expected after hours of rain. I returned just before 7.00pm and met one of the St Ives Board doing the same thing. We were both in agreement that the game must go on – almost completely regardless of conditions. The “sponge crew” would be called in, early on Saturday. I’m told that at 9.00am, with the rain negating the “spongers” efforts, the volunteers had serious doubts the game would be on. Saturday morning was damp, albeit less so than Friday. Strange how weather can make the most attractive places feel depressing. Last time I was in St Ives, the sun beamed and riverside cafes teemed with people. Today, the river was deserted. The hotel breakfast was first-rate before you ask and after typical British reserve was broken down, seemed virtually all the Golden Lion breakfasters were Bull-watching. The Boss and I followed the lead of apparently everybody and spent quality time in Wetherspoons where, at the time, the less dithyrambic elements of our support began gathering. I was tapped up for the first time for Reg’s charity collection by a fine-looking cleric. Having two doormen frankly wasn’t necessary. From there, we moved onto the ground. I declare a slight interest but I was genuinely impressed with the St Ives final paper programme. There was genuine original home club content included though I wondered about the mental health of the obsessive who’d witnessed 285 games this season. When I visited St Ives last summer, I was promised 15 different bottled real ales and that’s exactly what we got. Too much choice! The barman chose for me in the end, curiously selecting Banks for me. Connoisseurs will recognise this Black Country beer which is actually now very highly unfashionable. My correct response of “Bonkses… arr you’m roight” was rather lost in translation though well done to Tamworth Bull for noting my authenticity. During a series of pleasant meetings with so many loudly dressed Hereford folk, I met Mark, one of our fine exiles who buys a season ticket each year and rarely uses it. That’s Mark’s contribution to our club and I thanked him for it. Today was another relaxed day of celebration and Mike Meddins passionate appeal to support the charity of the day saw me donate for a second time. 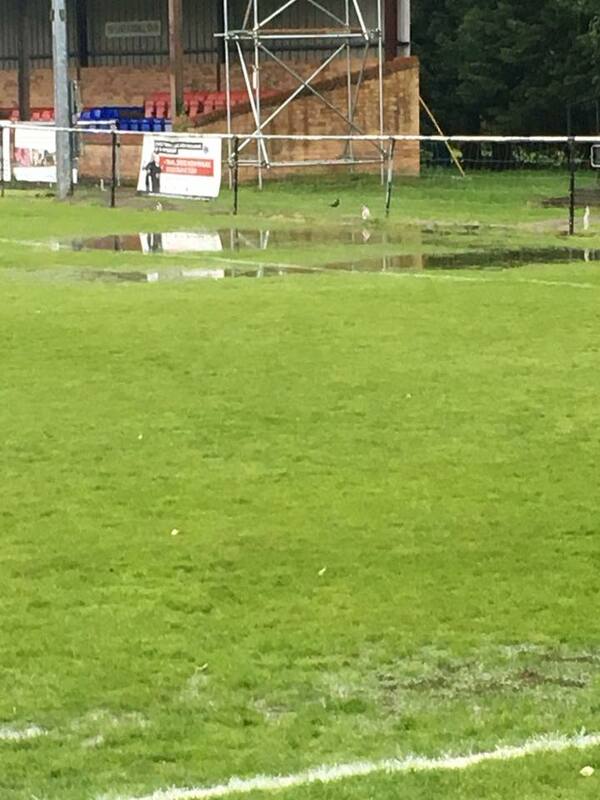 The pitch, being a farrago of grass and water, was pretty horrible to be truthful but with Benidorm beckoning for our team, a postponement just wasn’t going to happen. So our boys just got on with it, as they always do. The St Ives team reminded me of an older version of Dunstable. They were keen and willing but nearly permanently on the back foot. I’m not sure if there is an opposite word to diaphanous, but the Beasts marker would be deserving of said description. Death was so well rounded that he was a tourist attraction in his own right. The game wouldn’t be taking top billing on Match of the Day. Our team got the job done in trying circumstances of a sodden but hard pitch, wind and often rain too. Oh, for a 3G pitch. Is it too much to hope for better surfaces in Step 2? Give our lads credit for playing like Champions and winning when they didn’t really have to, something the Dingles couldn’t manage today. Highlights was a final Johnny Mills goal and a last cameo by firefighter Rob. We’ll miss him. And I will miss all your fine Hereford folk over the summer. Have a groovy one, all.